Every day life is full of risks if one really stops to think about it. There is the risk of stubbing one’s toe while fumbling in the dark all the way to the risk that someone will run into the back of your car while you are stopped at a light. For professional athletes there are the every day toe stubbing risks that the average person faces along with the risk that in some cases they might be seriously injured or even die at work due to the inherent risks associated with what they do for a living. 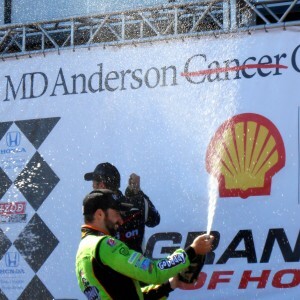 James Hinchcliffe (shown in Winner’s Circle during the 2013 Grand Prix of Houston) recently reminded people that driving Indy Cars is risky business. Of course, police officers, firefighters, and members of the military are among the many professions who also put their life’s at risk so in no way do I want to come across as saying that athletes are the only ones with risky professions. There are countless men and women working tirelessly at dangerous jobs every day who deserve our thanks for keeping us protected. Usually their jobs do not have them in arenas full of screaming fans while they perform the risky work though. In that way professional athletes really are in a league of their own when it comes to performing risky behavior in front of the masses. 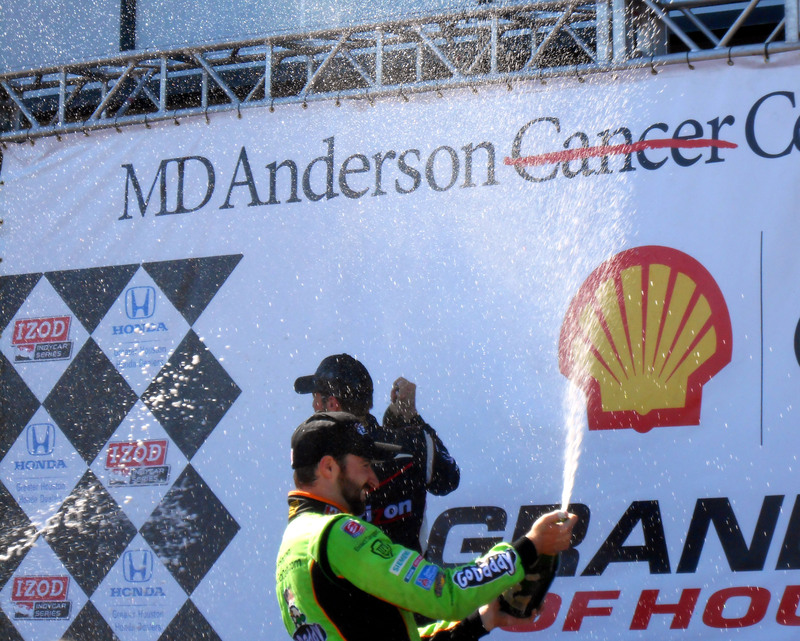 One of those athletes who does risky work in front of the masses, Indy Car driver James Hinchcliffe, is in the Intensive Care Unit of an Indiana hospital following a violent crash during practice for the Indianapolis 500 Monday. Hinchcliffe, or Hinch as he is known to many of his fans, suffered a puncture to the left upper thigh after a piece of the car’s suspension assembly pierced the driver cockpit, or tub, and went through his leg causing severe soft tissue damage and rupturing arteries. According to some published reports after his car’s right front suspension failed, Hinchcliffe hit the wall with a force of 125 Gs and was likely traveling more than 220 mph when he hit the wall. It should be noted that G forces above 100, even in short bursts, can be fatal in some cases. Unlike in other sports the same safety team travels to all Indy Car races. It is the quick work of that team that is being credited with saving the life of James Hinchcliffe following a wreck Monday. Were it not for the fast action of the safety crew it is entirely possible that Hinch could have died from his injuries due to the blood loss associated with a ruptured artery. While Hinch is alive thanks in part to enhanced safety features and procedures to handle injuries like his, it is likely that there will be new safety features added to the Indy Cars after the cause of the latest crash are revealed. However Indy Cars will never be 100 percent safe any more than athletes in other sports can be 100 percent protected from the risks of getting seriously injured in their chosen fields. Recent lawsuits from former NFL players show that injuries from playing sports can sometimes take years to manifest themselves as is the case with players stating that they are suffering from the effects of head trauma long after their playing careers have ended. In response the NFL has new concussion protocols in place to try to lessen the risk of injury to current players from head trauma. In baseball there has been a rash of injuries the last few years with batters and pitchers getting injured after having their heads and jaws make contact with a baseball traveling at high velocity. 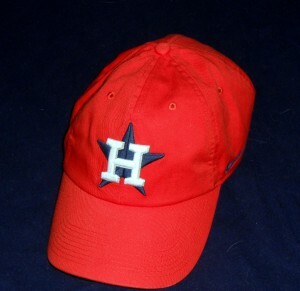 Former Houston Astros pitcher J.A. Happ was lucky and evaded serious injury in 2013 when he was hit by a ball on the mound while pitching for the Toronto Blue Jays. Happ’s hit and others like it have led Major League Baseball to look at ways to better protect the players. In response to the increase in head injuries Major League Baseball is developing new protective head gear that can be worn by both batters and pitchers to help lessen the impact of a ball to the head. The actions by the NFL and MLB to protect their players is certainly to be commended but no system can totally prevent injury when it comes to sports. This is not to say that all motorsports and contact sports such as football should be deemed unsafe and banned any more than I should have to bubble wrap my home to avoid injury from bumping into things in the dark. The trick is to make things as safe as humanly possible for the athletes involved so that they can live to play, or in Hinchcliffe’s case, drive, another day. Sports are much safer today than they were 10 years ago and 10 years from now they will be even safer. Innovations will continue to evolve in the world of sports as well as other fields. As long as people learn and improve from each accident and injury than they serve a purpose in helping the industry as a whole become safer. Failure to learn from the issues would be a far more devastating scenario. 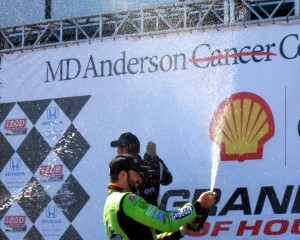 In time the Mayor of Hinch Town will again be spraying the bubbly of victory after he heals from his injuries. I had the opportunity to meet Hinch when I worked with the Grand Prix of Houston. 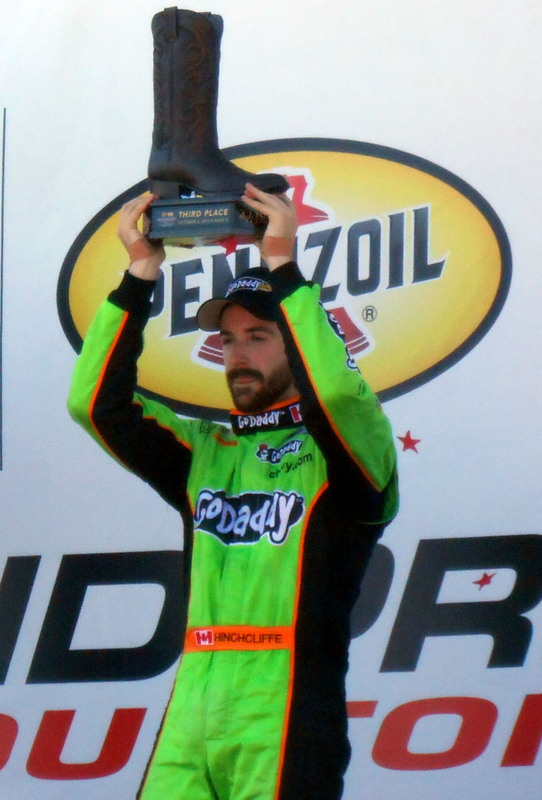 While platitudes are certainly thrown around a lot, I can say that James Hinchcliffe is one of the most easy going athletes I have encountered in any sport and is one of those athletes who seems to really enjoy what they are doing and understands that it is a privilege to get to do what they do for a living. The road back to driving an Indy Car will not be an easy one but Hinch has shown time and time again that he has an ability to handle those turns with the greatest of ease. I would not count the Mayor of Hinch Town out just yet. Now if you’ll excuse me, I need to move a few things so that I do not bump into them tonight. The other day I took my Jeep in for a routine oil change and alignment check. While I try to be good about coming in every 3,000 miles or so I am occasionally tardy in my duties as a car owner and stretch things out to four or five thousand miles between oil changes. This was one of those times where I was closer to the five thousand mark than three thousand but I figured the car was no worse for it. Since the mechanic is within walking distance of my house I will often drop off the Jeep and walk home as opposed to sitting in the waiting room watching the History Channel, which always seems to be on when I am there. A recent surprise flat tire got me thinking about some surprises I would actually like to see this year. Don’t get me wrong, I love the History Channel but I figure there are so many more things that I can do in the comfort of my own home as opposed to spending time in the waiting room. So as I was sitting at home on my couch watching the History Channel, the mechanic called to tell me that they would not be able to fix my flat tire since the bolt had gone through the side wall. This news surprised me in many ways. First, I had not been aware that I had a flat tire and secondly how exactly does a bolt manage to enter a tire at a 90 degree angle? I mentioned to the mechanic that I was not aware of a flat tire and perhaps he had mixed up my chart with someone else’s. He assured me that one of my tires was punctured and it was time to look at the options. After it was determined that the tire could not be repaired and would need to be replaced, I realized that my $20 oil change was going to be far more expensive than originally planned. 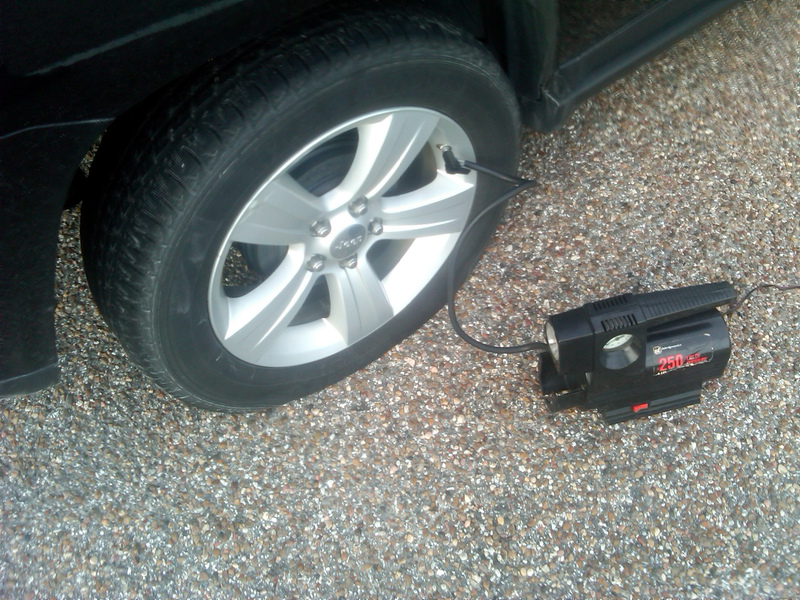 My first reaction at having to purchase an unplanned tire was of course one of anger since I never seem to get the full manufacturer’s suggested amount of miles out of a set of tires. In fact the tire that was mortally wounded by the bolt only had around 6,000 miles on it which made it a tire teenager cut down in its prime. While the surprise aspect of the additional tire purchase was certainly not what I had planned on, I was definitely happy to have the surprise of a punctured tire happen while I was sitting on my couch as opposed to driving down the highway and experiencing a blowout or other tire issue that would have caused more damage to the Jeep and/or me. So, all in all learning about a flat tire in air conditioned comfort on a couch with someone else doing the repair was certainly a welcome surprise albeit an expensive one. 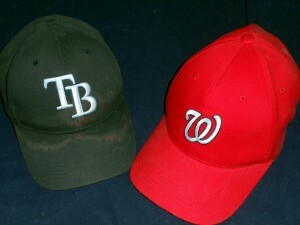 The surprise World Serie pairing that I want to see in October is the Tampa Bay Rays against the Washington Nationals. The surprise flat got me thinking about other potential surprises that could arise with the pending starts of the Major League Baseball, NASCAR and Indy Racing League seasons over the next couple of weeks. Of course if one knew what was going to happen in each of those areas ahead of time they would not be surprises but for the sake of argument here is one potential surprise and one dark horse surprise that I would love to see in each of those sports this season. First up let’s look at the surprises for Major League Baseball. With the Major League Baseball season just around the corner the biggest surprise I would like to see is the Tampa Bay Rays making a return trip to the World Series against the Washington Nationals. While the Rays and Nationals are both loaded with talent this year they each face huge obstacles in their quest for October glory. The Rays have a slightly better chance at postseason play despite playing in the toughest division in baseball. Were the Houston Astros to somehow win the American League West title this season it would likely be the surprise of the year if not the century. But for the record the Major League Baseball surprise I most want to see this year is a Rays against Nationals World Series. Of course my dark horse surprise, that has almost no chance in the world of happening, would be for the Houston Astros to win the American League West. That surprise is probably at least a decade away from happening but anything can happen I suppose. With the Major League Baseball surprises written down my sights soon turned to NASCAR. The Daytona 500 kicks off the 36-race NASCAR season this weekend (more on that in Friday’s column). As in the past few seasons the powers that be added some tweaks to the points and other rules that teams will need to quickly get up to speed on. Danica Patrick would surprise many people including Richard Petty were she to win a NASCAR race this season. Perhaps no other sport enjoys messing with the rules each year as much as NASCAR does so they are certainly consistent with their constant changes. 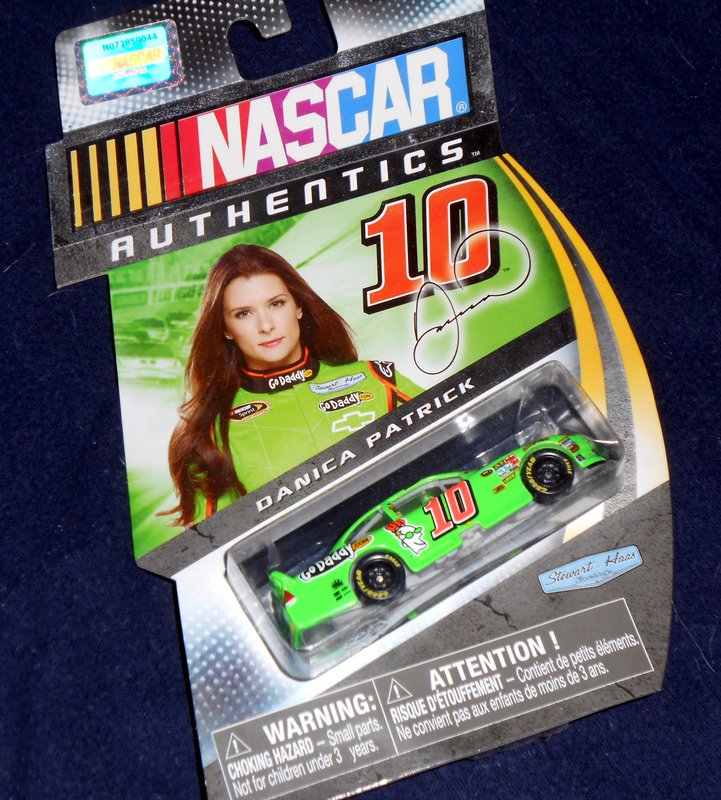 My NASCAR related surprise that I would like to see involves the driver of the #10 car Danica Patrick. After becoming the first woman to win an IRL race, Danica became the first woman to start on the pole and lead laps in the Daytona 500 last year during her first full year in NASCAR’s highest level. My Danica related surprise would be for her to silence her critics in the Petty family and elsewhere by winning a race this year. There are 36 opportunities for her to accomplish that and I feel that she very well could make history once again and make The King Richard Petty eat that feather on his hat. In a perfect world Jimmy Johnson would let someone else win the championship this season. 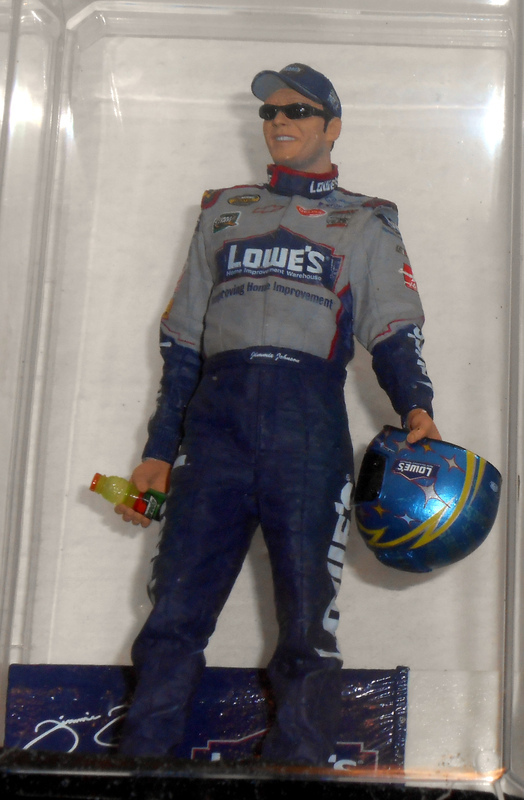 As for the NASCAR related dark horse surprise I would most like to see, that would be for someone other than Jimmy Johnson to hoist the Champion’s trophy at the end of the year. I mean come on Jimmy you have six of them already it is time to share with the rest of the class and take some time off before getting that record tying seventh championship that no amount of rules changes can prevent you from eventually winning. Lastly let us look at the big surprises I am predicting for the IRL this year. With the series returning once again to Houston for a two-race weekend in June I would like to have the surprise of seeing both races run without any career ending injuries such as the one that Dario Franchitti suffered last year. 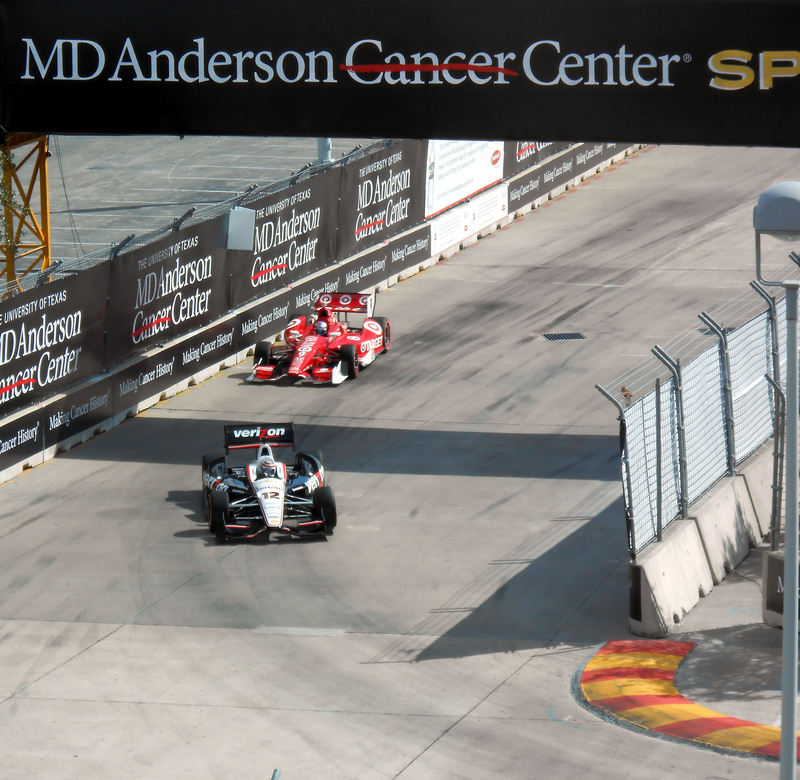 Dario Franchitti’s racing career ended on a racetrack constructed in a stadium parking lot. Hopefully no other drivers face the same fate when the Indy Racing Series returns to Houston this June. Hopefully with more time to plan race organizers can make sure that the track will be in better shape so the drivers can race each other and not worry about whether the track is going to cause them to lose control or take them out of the championship picture, or end their careers. As for my dark horse surprise I want to see this year in the Indy Series, that would be for Juan Pablo Montoya to win the IRL Championship for Roger Penske after coming over from a few years spent in NASCAR driving for Penske’s bitter rival Chip Ganassi. So there you have it several surprises to look out for over the next six months or so in MLB, NASCAR and IRL competition. Of course if any of those surprises do end up happening you can always say that you read about them here first. Now if you’ll excuse me, I have some surprises to get ready for. Dario Franchitti, four-time Indy Racing League (IRL) champion and three time Indianapolis 500 Champion, announced yesterday that he was retiring from racing at the age of 40. In the announcement that shocked much of the racing world, Franchitti stated that he was following the advice of doctors who cautioned him that returning to racing and risking further injury once he recovered from injuries sustained at the Grand Prix of Houston last month would be detrimental to his long-term quality of life. 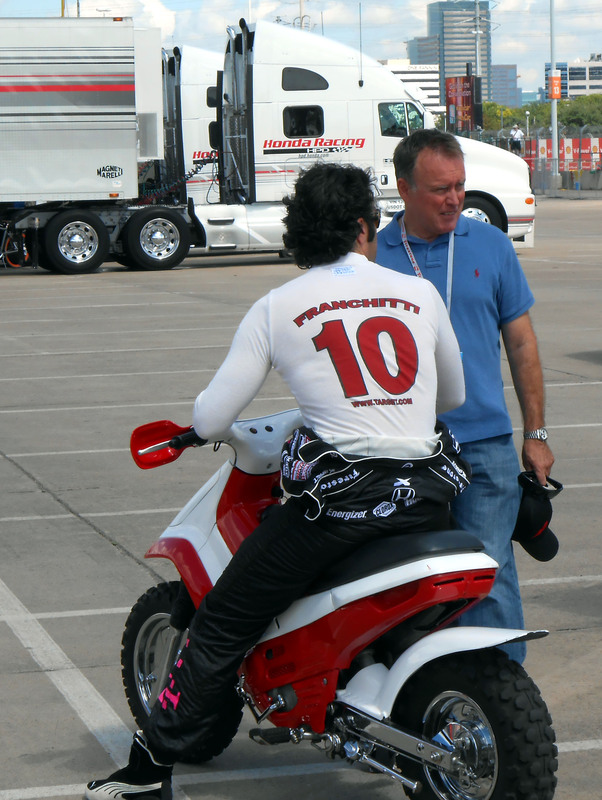 Dario Franchitti, shown during the Grand Prix of Houston, announced his retirement from the Indy Racing League yesterday. 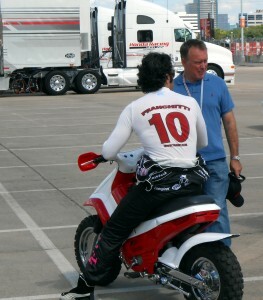 Franchitti cited injuries sustained at the Grand Prix of Houston as a leading reason for the retirement. 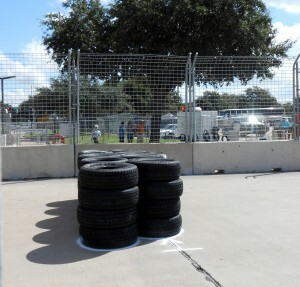 Franchitti sustained multiple injuries, including his third diagnosed concussion, during a last lap crash in the Grand Prix of Houston when his car made contact with another car and became airborne and rolled up into the catch fence before landing back on the track. While the wreck was certainly bad most fans figured that Franchitti would heal and return to his big box retailer sponsored car next season. After all, that is what drivers do they get back on that horse that threw them, or in this case the car with all that horsepower that they crashed in. If someone had approached me that October afternoon when I was standing in Victory Circle and told me that I was witnessing the last race of Dario Franchitti’s career I would have likely said that they were crazy. After all, Franchitti had wrecked his car before and returned. He even returned to the car after attending the funeral of one of his closest friends, Dan Wheldon, who was killed in the season finale last year in Las Vegas. Racers put their lives on the line every time they strap into their cars and know deep down that each lap could be their last. That is just in their nature and is part of the formula that makes them who they are. For years it has also been part of the formula for athletes in all professional sports to not show weakness or anything that suggests anything less than invincibility. NASCAR driver Ricky Rudd once drove an entire race with his eyelids taped open following a wreck the previous week. 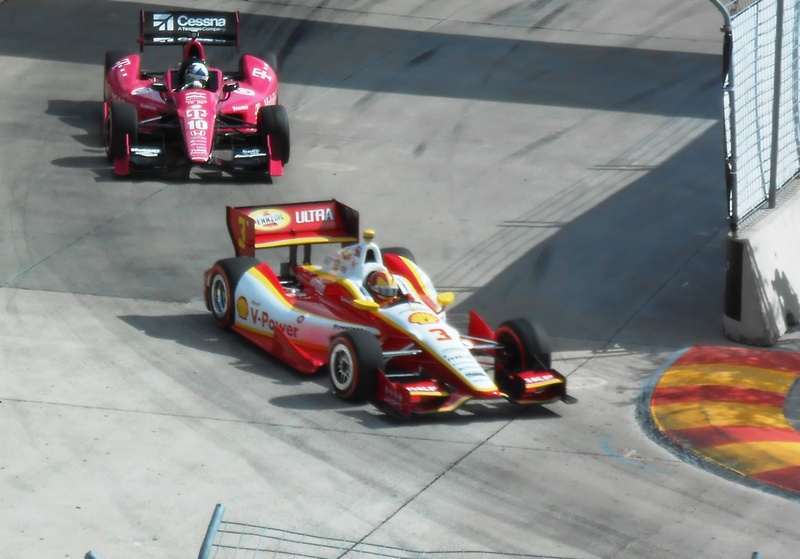 A bad weekend at the Grand Prix of Houston ended Helio Castroneves’ (front) championship hopes and a last lap wreck ended Dario Franchitti’s (rear) career. Countless football players through the years have played with broken bones and other ailments that would keep most anyone else confined to the couch at home. Some athletes really do feel that they are invincible and others feel that showing any weakness or not getting right back into competition opens the door for someone to take their place. Adding to the pressure are the fans who expect their star athletes to do all of this and more in the name of entertaining them. But in recent years as more and more science has gone into studying the long term effects of people taking repeated hits to the head there have been a growing number of athletes who have quit at their prime to look at the big picture. Just this year several NFL players have walked away from the game citing the risk to their future quality of life as the reason behind it. Fans at the Grand Prix of Houston were able to watch efforts to remove Dario Franchitti from his crashed car on large monitors around the speedway. It was announced yesterday that those will be the last images ever of Dario Franchitti in an Indy Car after doctors warned him of the potential for further injury if he continued to drive. Of course, it could be that with today’s athletes making more money than those in the past it is easier for them to walk away with productive years still left in their careers. As one of the highest paid drivers in the Indy Car paddock Dario Franchitti certainly should not be hurting financially so walking away from the sport for him would not be the same as a driver who was scraping to get by from race to race. But when one of the sports biggest stars and ambassadors walks away it is certainly worth noting. I commend Dario Franchitti for taking a look at the big picture and walking away while he still has the ability to leave on his own terms. 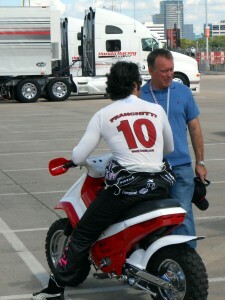 Were he to keep driving Dario Franchitti would be in more wrecks. That is just the nature of the sport. Of course no one can say that the future wrecks would be any worse than his wreck in Houston but at the same time no one can say that they wouldn’t. Speaking of the career ending wreck in Houston there will be people who continue to blame the track for it happening. And while there were certainly flaws in the track that resulted in last minute repairs the fact remains that cars can wreck even under the best of circumstances. 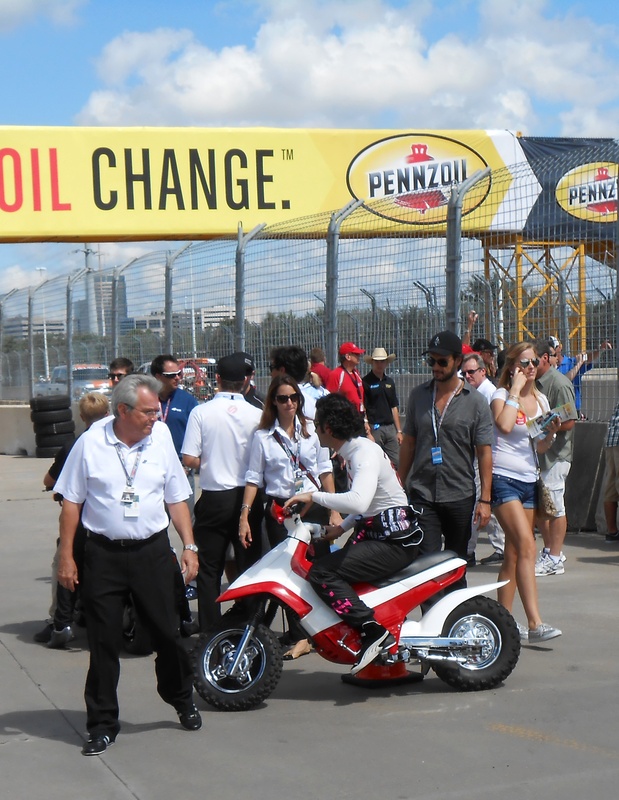 When the Grand Prix of Houston returns in June 2014 there will likely be a new track configuration and event organizers will have to take into account the feedback from teams regarding the issues with the track this year. But, one cannot and should not blame the track for ending Dario Franchitti’s racing career. Two days prior to what turned out to be his career ending accident I was able to exchange pleasantries with Franchitti as he was driving around on his scooter along pit road. After wishing him good luck for the weekend we both went our separate ways. Had I known then that it was his last weekend as a professional race car driver it is hard to say whether I would have handled the exchange any differently then just two professionals doing their jobs trackside. What I do know is the sight of Dario Franchitti on pit road will be missed by fans and competitors alike as there is a certain weight and presence that one carries as a four-time champion. That is not to say that Dario Franchitti carried himself in an arrogant manner. Quite the opposite in my observations I found him to be quite the gracious ambassador for the sport who did not mind stopping his scooter to say a few words with his fans. Time will tell what the next chapter entails for Dario Franchitti and how much fan interaction that new chapter will include. He could remain in the sport as a color commentator on the broadcasts or even as a team owner. Dario Franchitti could even join Mario Andretti and other past champions in promoting the sport around the world. Of course Dario could just as easily move to a castle in Scotland next to Sir Sean Connery and they could look out over the land and swap stories of days gone by. Whatever the future holds for Dario Franchitti he has earned the right to choose his path and he is going out on his terms while he still can and one definitely needs to respect that. Now if you’ll excuse me, I am off to do some shopping at that big box retailer that adorns Dario’s car. 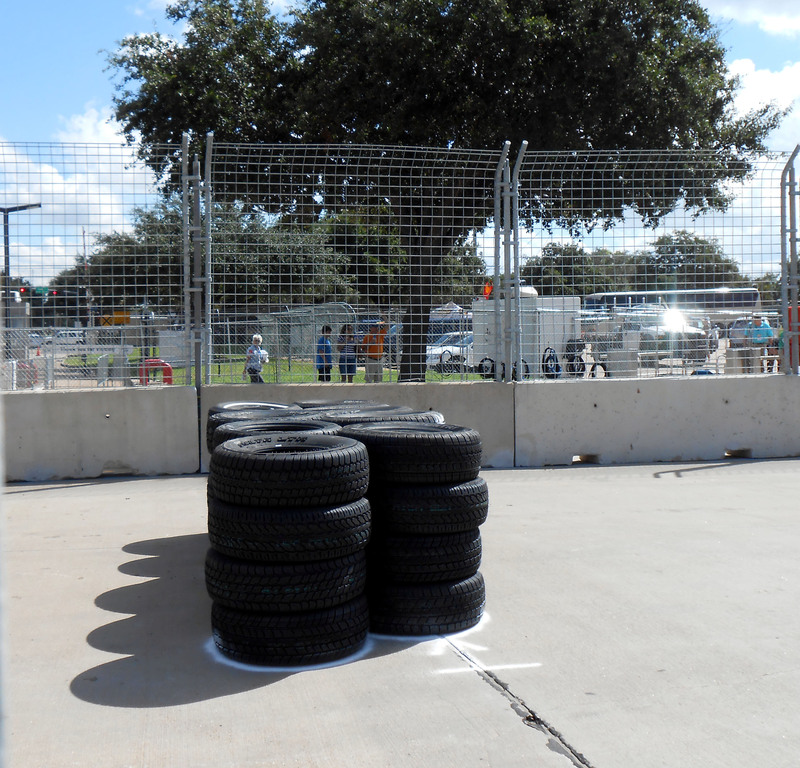 The Grand Prix of Houston was held over the past weekend. I know this because I was there. 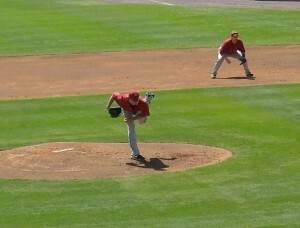 But more on how I was able to be there in a bit. First it is important to mention the lasting visual that made its way across the sports media yesterday afternoon. Will Power (front) and Scott Dixon (back) each won a race during the Grand Prix of Houston doubleheader with Dixon leaving as the points leader with one race left in the season. 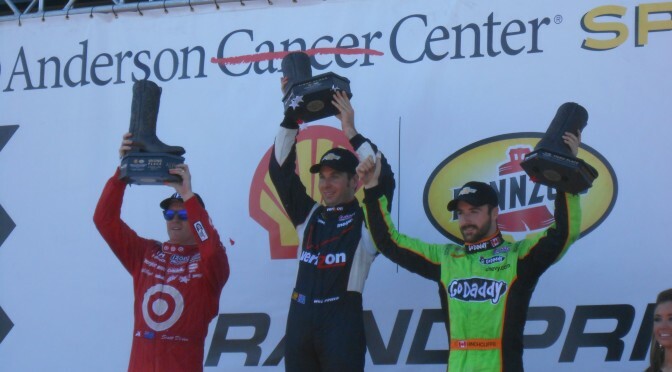 The race ended with a terrible last lap crash that sent Dario Franchitti to the hospital with a concussion, fractured vertebrae and a fractured ankle. The crash also injured a baker’s dozen of fans and a race official. The fencing put in place did its job and prevented more injuries from occurring but it is once again a reminder that racing is a dangerous sport and even races on a flat parking lot can cause cars to become airborne with the right set of circumstances. Despite the crash, the weekend started with the promise of two races in the parking lot of Reliant Center. That’s right boys and girls they were racing in a parking lot around a football stadium and a concert hall. When I first learned that the Indy Racing League was coming to Houston I was excited since I had missed out on covering the Champ Car Grand Prix back in 2007 when they were last here. Dario Franchitti was injured in a last lap crash on Sunday at the Grand Prix of Houston. I have a picture that was taken of me when I was a freshmen in high school in front of the pace car for the Grand Prix of St. Petersburg. I would often look at that picture and think how cool it would be to cover the race some time. A few years ago I was in St. Petersburg for some Spring Training baseball and had the opportunity to drive on a portion of the track. Granted I was going under 50 miles an hour but I can still say that I drove on an IRL course. So that brings us back to the Grand Prix of Houston and my thoughts that the race would occur in downtown Houston as it had previously been. But, imagine my surprise when I learned that instead of a race course around Minute Maid Park and other downtown destinations the race would be held in a parking lot around the Astrodome and Reliant Stadium. To my knowledge this is the first parking lot Grand Prix that has ever been run. And it was not without its share of bumps along the way. A temporary tire barrier had to be installed after a large bump was discovered in the parking lot road course Friday afternoon. For starters during practice on Friday a large bump on the track was discovered. After leading to a few wrecks a temporary solution of a tire barrier was added to the track to help slow cars down to avoid the bump in the road. Friday night there was some grinding on the bump and the temporary tires were removed once the course was deemed smooth enough once more. I spent most of Friday watching the practice from the grandstand and touring the grounds since I was “on staff” for the event. Unfortunately one thing that I forgot to do Friday was apply sunscreen. As a result of my lapse in sunscreen application I burned to a little crisp and will soon be greeted by the post burn peeling. 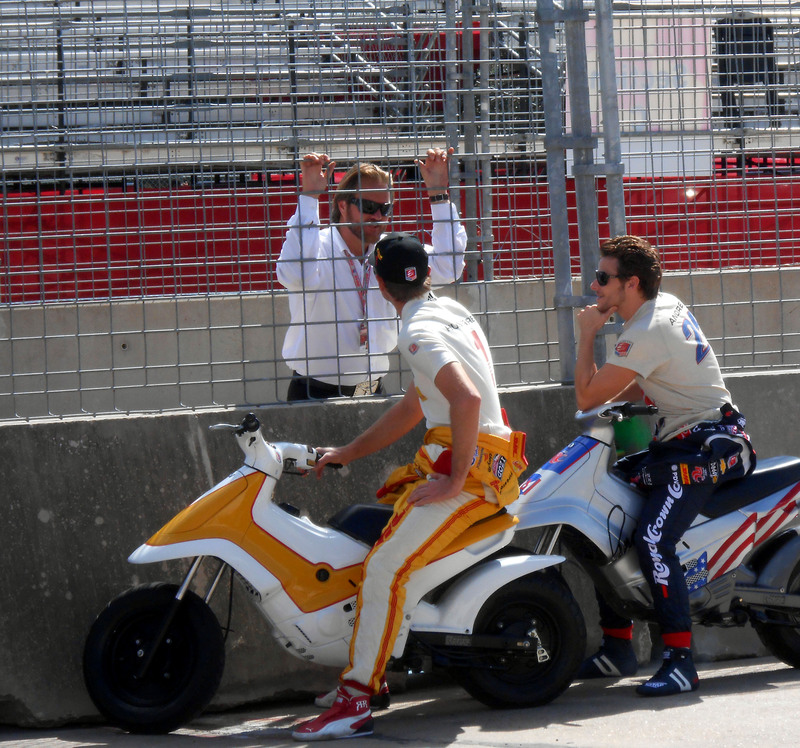 Drivers Ryan Hunter-Reay (left) and Marco Andretti (right) get an update on the tire barrier construction that pushed qualifying back from Friday to Saturday for the Grand Prix of Houston. But with two days left in the weekend I was not about to let some sunburn get the better of me. Saturday included an early arrival to the track and an all day marathon of walking through the Paddock and garage area as well as watching the first race. As part of working the event as a volunteer, I was given an all access pass for the weekend. Aside from spending some time on pit road on Friday I really did not test the boundaries of all of the areas I could access Saturday and mostly stuck to the areas with the general public. And might I add it was a very well behaved general public compared to some of the other large sporting events that I have attended. I can’t say for sure what it was that made this particular crowd so well behaved but I can see that after three days in their midst I did not see a single drunk or unruly fan nor did I see anyone taken away by security for any reason. 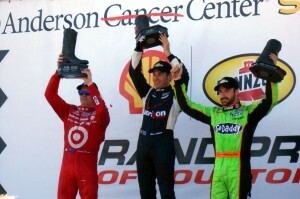 Will Power (center) held off Scott Dixon (left) and James Hinchcliffe (right) in Sunday’s Grand Prix of Houston finale. Make of that what you will, but if you want to see a well behaved crowd I suggest you try an Indy Racing League event. Sunday was the final day of the Grand Prix weekend, and as noted earlier it ended with hospital trips for a driver and some fans. 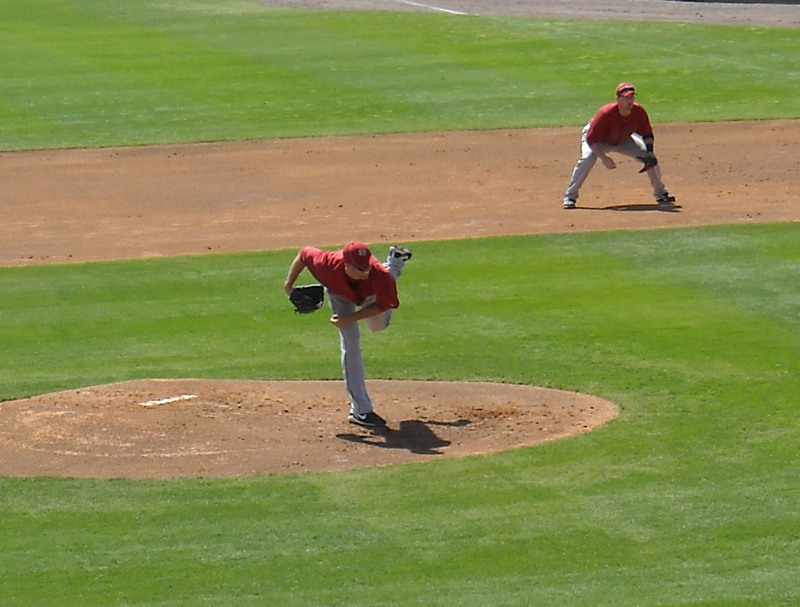 But before all of that happened Sunday was the day that I finally tested what exactly my “all access” pass could do. Now, I knew that the pass would not allow me to say drive an Indy car, but I figured that there were some cool things that it would allow me to do. I spent around 20 laps walking through the pits and was close enough to the action to feel the heat from the cars as they passed. James Hinchcliffe gives victory circle a champagne bath following Sunday’s Grand Prix of Houston Indy Racing League race. I saw the pit crews in action and watched the members of the radio and television broadcast teams run from pit to pit to get their stories. After wandering the pits for awhile I finally settled near the start/finish line and victory circle. I remained there through the end of the race and the trophy presentations. 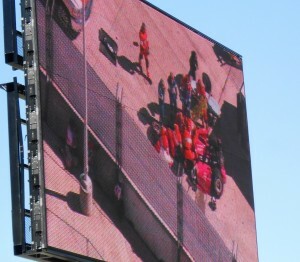 It was also in victory circle where I heard about the wreck and was joined by my new found Indy friends in looking on the race monitor and hoping that everyone got through it okay. It turns out that my all access pass really did provide all access. I am sure there are some other areas that I did not get to but I am sure I will check those out next year with another all access pass. Now if you’ll excuse me I have some more aloe to apply.